You are currently browsing the The Pet Product Guru blog archives for August, 2018. Every morning after I feed my cat Millie, I put a bowl of dry food on our porch along with a bowl of fresh water.There are several cats in the neighborhood who don’t have homes so they come and eat the dry food everyday. If you decide to do this, you must remember to remove any left over food at the end of the day. Most of the time the cats eat it all anyway but there are times when there is some left. The other night, I heard my cat Millie scratching on the sliding doors leading to the porch. I quickly got up to see what all the fuss was about. 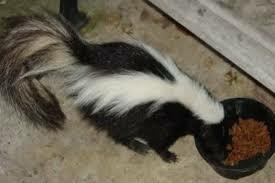 There was a skunk thoroughly enjoying the left over cat food. I would not open the door but left him there to finish his feast. I forgot to remove the food. So far there are racoons and skunks that know our address! Remember, your pets count and have a great Labor Day weekend! It’s a more music weekend on Edgewater Gold Radio—enjoy your holiday with us! Download the free Edgewater Gold Radio app and take us along wherever you go! You can also listen from our website: edgewatergoldradio.com. 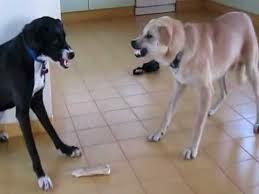 If your dogs suddenly start fighting with one another, the reasons can vary. Have any of your dogs not been neutered? Has one become sexually mature? Is there plenty of space for both of them to share? Have you let them get away with bad behavior in the past? Do they get little exercise or have too few dog toys? Any or all of these things can cause fighting. To correct the problem, exert your authority and feed the more aggressive dog last. Make him walk behind you and your other dog. If he does show aggression, give him an immediate correction such as a loud noise. This tells him that fighting will not be tolerated. Always reward him for peaceful behavior. This will motivate him to repeat the good behavior. If the problem continues, consult your veterinarian. The place for great oldies is Edgewater Gold Radio. Download the free Edgewater Gold Radio app from your app store or listen on our website: edgewatergoldradio.com. 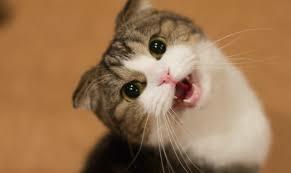 Mid-pitch meow: Plea for something like food or water. Drawn-out mrrroooow: A demand for something. Lower than mid pitch MEEOOOOOOwww: Begging, for something such as food. High-pitch RRRROWW! : Anger, pain or being fearful. Chatter (rapid teeth-chattering): Excitement, frustration. Chirrup (a cross between a meow and a purr with rising inflection): Friendly greeting sound, often used by a mother cat to call to her kittens. Purr: Invites close contact or attention. Hiss: A serious sign of aggression. The greatest oldies are playing today on Edgewater Gold Radio! If you love oldies then you’ll love the variety on Edgewater Gold Radio! Keep us on all day and download the free Edgewater Gold Radio app. 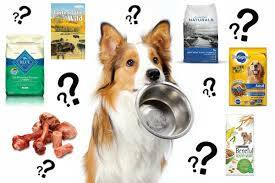 What Are The Ten Best Dry Dog Foods? We should all try to give our pets the best quality food. After all would you feed your child only fast food? In case you’re wondering, here are the best dry dog food brands according to Reviews’com. The best dry dog food doesn’t cut corners. It’s high in protein, low in carbs, and made with high-quality meats that keep your dog drooling every time you open the bag. We spent two months researching ingredients, reaching out to over 40 vets and vet nutritionists, and putting over 1,600 dog food formulas through the wringer to find the very best that’s out there. Remember these brands won’t be found in your typical supermarket. You have to search specialty pet stores to find them and they will hit your pock book harder but it’s worth it keep your pet as healthy as possible. Turn on your favorite oldies when you get to work today! Edgewater Gold Radio keeps the oldies playing all the time! The 50s 60s 60s 70s and great pop vocals all in one place. Edgewater Gold Radio. Listen from our website: edgewatergoldradio.com. add comment Comments Off on What Are The Ten Best Dry Dog Foods? Oldies lift your spirits and make you feel good. Edgewater Gold Radio plays the largest variety of oldies. We take the memories back through the 50s 60s 70s and 80s. Re-live the greatest times of your life on Edgewater Gold Radio. Listen from our website: edgewaterglodradio.com or download our free app. 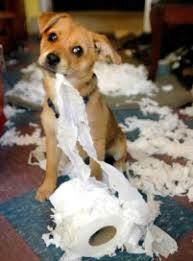 If your dog is still a puppy, make sure that has lots he has of toys to play with. Praise him when he’s playing with his toys. Keep a close eye on him. Never give him any praise if he is playing with your clothes, pillows, furniture etc. Spend time each day giving him plenty of exercise and play time. 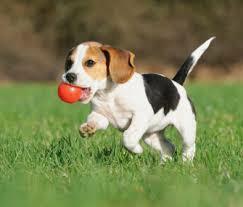 Playing fetch with him gives him plenty of exercise, is great fun and helps him burn calories. Take your time when walking your dog. Walking is great for you and your best friend, it will keep him from being bored and get him tired so he gets a good nights sleep. Train you dog by teaching him basic tricks, he will become closer to you and also keep him occupied. When you’re about to leave for work in the morning, give your dog a chewy toy , a newspaper to rip up while you’re gone. It’s a good idea to keep the TV on while you’re gone so he doesn’t feel as if he’s alone. Animal Planet or a dog channel are good choices. Take him to a grooming place so he sees other dogs and gets to play around with the other dogs. All of these things will keep him from getting bored and potentially doing damage in your home. Remember your greatest oldies are playing right here! Edgewater Gold Radio! The best variety of oldies from the 50s through the 80’s! Join us today and everyday for the best memories of your life. Download the free Edgewater Gold Radio app from your app store today! Listen from our website: edgewatergoldradio.com. Protect Your Pets – 2018 Has Been A Dangerous Tick Season! The tick season isn’t over yet and you should still be protecting your pets against fleas and ticks. People Magazine has released a comprehensive article on how to do this. If your pet goes outdoors, make sure that you are doing everything to protect him from the dangerous fleas and ticks out there. The Center for Disease Control recently announced that reported illnesses from mosquito, tick and fleabites have tripled across the United States, with nine new germs from mosquitoes and ticks being introduced into the country over the past 13 years. Lyme Disease, Tularemia, Rocky Mountain Spotted Fever and many other diseases can be transferred to you and sometimes your pets all because of a parasite the size of a poppy seed. Fighting against such a small nuisance as the tick can seem difficult, especially for pets who can’t take precautionary measures on their own. To help keep pet owners at ease and protect animals and their parents from the hazards ticks can bring, the CDC has put together some simple tips that can help keep ticks off your pet and out of your home. Tick protection is necessary for outside pets. Both for your safety and your pets, you should seek out preventative treatments against ticks for your furry friends, especially if they spend time outside. It is easy for pets to unknowingly bring ticks inside your home and for them to be bitten without showing signs of illness until later. There are not canine vaccines for many of the diseases that ticks carry, so preventative treatment is your best defense. Consult with your veterinarian to see which treatment is right for your pet. It is especially important for cat owners to talk to their vet, since many cats are sensitive to the chemicals in tick treatments. Check your pets for ticks daily. Whenever your pet comes in from the outdoors, especially hikes and time in the woods, check them for ticks. Make sure to check creases, like where their legs meet their body, and in and around their ears. Catching and removing ticks early can be key to keeping your pet healthy. Treat your yard for ticks. To decrease your pet’s chances of being pestered by ticks and other pests, treat your lawn and the other outdoor areas where your pets spend time. 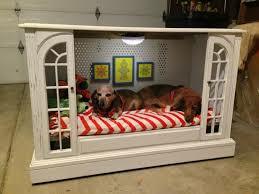 Also consider treating furniture that your pet enjoys inside the house. The CDC has a list of suggestions for chemical-free ways to make your yard less inviting to ticks, as well. If you find a tick on your pet, remove it immediately. While some folklore remedies might suggest trying to cover an attached tick in petroleum jelly or nail polish, the CDC suggests removing the pest right away and not allowing it to stay on your pet in attempt to get it to detach. There are products designed to safely and quickly remove ticks from animals, but tweezers can work, as well. Don’t crush ticks you find on your pet. Instead flush live ticks down the toilet or drown them in rubbing alcohol and then dispose of them in the garbage in a sealed and taped shut sandwich bag. Visit your vet if your pet seems ill. If you know or suspect that your pet has been bitten by a tick, and they are exhibiting odd behavior, take them to the vet immediately. add comment Comments Off on Protect Your Pets – 2018 Has Been A Dangerous Tick Season! Pups love to run and play, but it’s important that your pup doesn’t injure himself while having fun. When you play fetch with your dog, try to prevent his body from twisting in the air or landing hard on the ground. You can try rolling a ball instead of throwing a toy in the air. This has less impact on his joints. When you’re taking your dog for long walks or runs, consider his fitness level. Build up his endurance over time. Take it slow at first and wall or run short distances gradually increasing the speed and distance as your dog gets used to this activity. Consider where you take your dog. Avoid gravel or asphalt. Always take along plenty of water and look for signs of fatigue. Remember, your pets count! If you like older music like the oldies of the 50s 60s 70s and 80’s try our internet radio station. EDGEWATER GOLD RADIO—the greatest variety of oldies and pop vocals. You can download the free Edgewater Gold Radio app from your play store or listen from our website: Edgewatergoldradio.com. Doggie Day Care…Yes or No? This entry is courtesy of Kari Vanick, owner of Camp Bow Wow in McHenry, Illinois. Be sure to check out her site if you are looking for dog boarding near Chicago. Why Would I Take My Dog to Daycare? Dogs need exercise. Period. Dogs have so much energy that needs to be released and the way to get it out is with exercise. How many dogs really get the exercise they need? Doggy daycare is a great way to provide your dog with an exciting day of play while allowing him to socialize with other dogs. This can help him develop good play manners and have fun romping with other furry friends. This will also help you fulfill his exercise requirements, which can reduce behavior problems that are the result of lack of exercise. That means less chance of that energy being exerted in other ways, such as chewing your brand new sandals or that family room sofa. 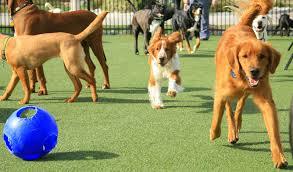 What is the biggest reason to take your dog to daycare? The dogs LOVE IT!! They know that this is the place where they get to play with their buddies, make new friends, run around like crazy and play in the pup pools. They know where they’re going as soon as you head down the street to your daycare facility. They will DRAG you to the door! • You work long hours and don’t like to leave your dog in a crate all day long while you are at work. • You are going out after work and do not have time to walk your dog that evening. • You are having a party and can’t have the dog running around the house while all your guests are there. • You are having house guests who are allergic to dogs. • You want to have a snuggle night with him on the couch when you get home from work, but the only thing he wants to do when you get home is play, play, play! After a day of play at doggy daycare, he’ll be more than content to snuggle with you all night long. • It can assist in reducing separation anxiety in your dog. When they learn that they can go to a fun, safe place where they get to play all day, and still be picked up by Mom at the end of the day, it can really help reduce anxiety. Keep your eyes on our training blog in the next few weeks for another entry from Kari discussing tips to selecting the right daycare facility for your dog. Our oldies station is playing the best variety of oldies from the 50s through the 80’s right now! Variety is key and that’s what we do at EDGEWATER GOLD RADIO! The greatest variety of oldies anywhere! Download the free Edgewater Gold Radio app your app store or listen from our website: edgewatergoldradio.com. add comment Comments Off on Doggie Day Care…Yes or No? Do A Great Thing…Adopt A Pet! Your local animal shelter could use all of the help and support that it can get. According to the ASPCA, there are over 5,000 animal shelters across the country. These shelters play an important roll for millions of animals. The role that they play will help determine whether an animal will live or die. You can help by adopting a pet, volunteering your time or by making a donation. So many pets need you. If you are thinking of adopting a pet, don’t turn you back, visit you local animal shelter now. The result could be one of the most rewarding things that you’ll ever do. Adopting a cat or dog will not only enhance the animals life but it will surely bring lots of love into your home. Do a great thing today, adopt a pet! All oldies all the time are on Edgewater Gold Radio.….music from the 50s 60s 70s 80s including great pop vocals! Turn us on at work, download the free Edgewater Gold Radio app from your app store or listen from our website: edgewatergoldradio.com. add comment Comments Off on Do A Great Thing…Adopt A Pet!